State Police Begin DWI & Distracted Driving Check Points for St. Patrick’s Day Weekend. NEW YORK STATE (March 13, 2014) – Governor Andrew M. Cuomo has announced that the New York State Police are kicking off a campaign to crack down on drinking and driving, underage drinking, and distracted driving this St. Patrick’s Day weekend in an effort to prevent tragedies caused by impaired driving. The State Police will initiate special traffic enforcement efforts beginning Friday, March 14 and running through Monday, March 17. "St. Patrick’s Day celebrations should be an enjoyable and safe experience for all New Yorkers," Governor Cuomo said. "This weekend, state troopers are stepping up enforcement to ensure motorists are abiding by critical laws that help prevent drunk and distracted driving, and underage drinking but most importantly, help save lives. I urge all drivers to plan transportation in advance, use caution when travelling, and follow the law so that this weekend’s festivities do not lead to unnecessary tragedy." Drivers can expect to encounter sobriety checkpoints, additional DWI patrols and increased inspections on underage drinking and sales to minors during the campaign. State Police will also be ticketing distracted drivers using handheld electronic devices. New York State Police Superintendent Joseph D’Amico said, “The New York State Police want everyone to have a fun St. Patrick’s Day weekend, but urge people to do it safely. If you attend a party or event and consume alcohol, designate a driver or find alternate transportation." 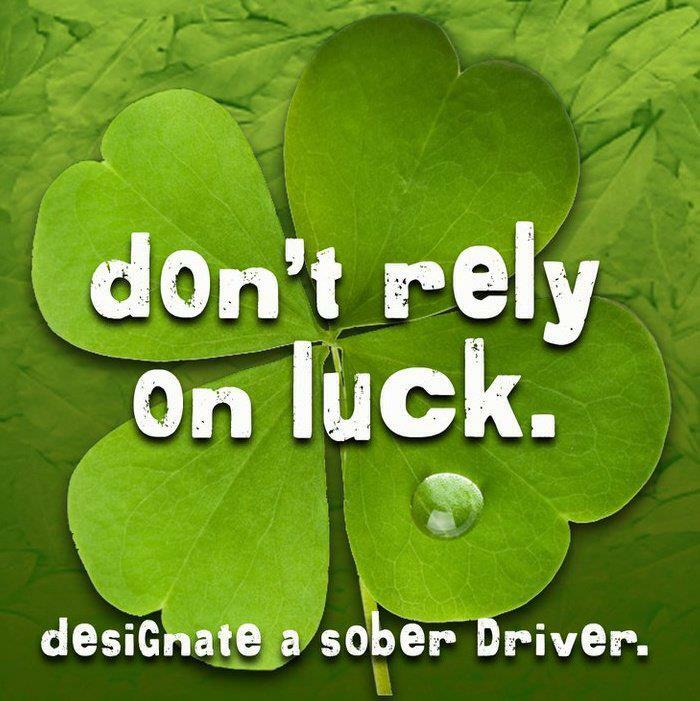 According to the National Highway Traffic Safety Administration (NHTSA), more than 269 people were killed by drunk drivers on St. Patrick’s Day between 2007 and 2011. Additionally, in 2011, a person was killed every 53 minutes in a drunk-driving crash in the United States, with most drunk drivers involved having a blood alcohol concentration nearly double the .08 legal limit. State Police ran a similar weekend enforcement effort during St. Patrick’s Day weekend last year, where troopers made 204 arrests for DWI and issued a total of 9,763 tickets. · Before the festivities begin, plan a way to safely get home at the end of the night. · Before you start drinking, designate a sober driver and leave your car keys at home. · If you’re impaired, use a taxi, call a sober friend or family member, or use public transportation so you are sure to get home safely. · If available, use your community’s sober ride program. · Walking impaired can be just as dangerous as drunk driving. Designate a sober friend to walk you home. · If you see a drunk driver on the road, call local law enforcement. You could save a life. · And remember, if you know people who are about to drive or ride with someone who is impaired, help them make other arrangements to get to where they are going safely. If a friend is drunk and wants to drive, intervene and take the keys away if you have to.